I guess there is a risk to whatever we do and we never learn the outcome until it is done. So we just have to get on and do ‘stuff’ and expect the best. If we sit about worrying or thinking, ‘I wont do that, what if something happened’ then we would be sitting doing nothing our entire lives. I wish all the injured and families of those involved in the bombings during the Boston marathon condolences and courage to come through the experience stronger. It is good that the police have found the culprits. Well, today is the day of the London Marathon. It is a wonderful clear blue sky here in Brisbane this morning but I guess at this time all the potential marathoners over there will be fast asleep, as its 1.20am UK time. I wish everyone every success to be organised for the start, enjoy the amazing buzz of the lineup, and find themselves a safe spot to run or wheel within. I wish them the joy of running/wheeling free, the ability to pick up the crowd’s vibes and go with those as well as their own. I wish them the tenacity to pass through the first 5 miles, the next 10, and then to keep focused to get to the 20 miles they have already done in practice. After that I wish them the extra to know they are on the home run, to hear the amazing crowd and know that they are so close to the finish, the medal, and the end that they have trained hard for all these past few months. And as they come down The Mall with the crowds cheering, and cross the finish line each one can know their life will now have changed for the better in many wonderful ways. Many people talk about doing the London Marathon but many ever do it. All the very best to every participant who arrives there today. 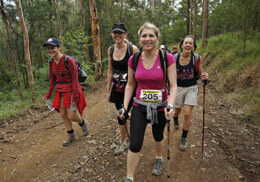 Friend Jenny is now in serious training for this 100km team trail walk in June. It works like this… You are part of a team of 4, and you find a sponser. You all raise money for Oxfam prior to the race and spend plenty of practice time to get your body in shape and tuned up to spend all day, all night and most of the next day seriously walking. The trail goes through Queensland forestry paths out the back of Mt Cootha, Brisbane. There are various terrains, path widths and gradients. 3 of your team of 4 must finish together. You organise your time to stop for food along the way but you dont want to stop too long or you start to freeze up. It is winter time, the days can be ok but it can be quite cold at night. It is said to be one of the most difficult of all the Australian Oxfam trail walks. You have to be fit. A good idea for strengthening ankles and this is what was recommended me by my osteopath to help with my foot and toe. This is also a method used in pilates classes to strengthen feet and lower limbs. And now I have a foot problem! Darn! I have had this toe that gets numb and its got to the stage that it’s painful to walk on even going to the supermarket and while that is a good excuse not to go it also has prevented me walking. It’s been bad enough that my walking buddy has been in the Bahamas for 2 weeks and I did sweet nothing while she was away but now when I am ready to go for it my toe is letting me down. I thought it was just the toe, too, but I took it to my osteopath friend who pummelled my whole leg and said the muscles down the outside were tight and the ones down the inside were looser and the muscle meet up was somewhere near this toe which was inflamming the joint there. Well, something like that. I had to use all my powers of hypnotic relaxation to take my mind off the uncomfortable feelings as she massaged in deep to release the tension. Now I am very conscious of all this area and aware of the way I am holding and walking my foot. And it was just a small toe! So I’m into using my own techniques to help it get better. It is a help to know just where the problem lies. I must admit that I’d prefer to walk than spend more time cleaning and clearing the house for this big move in mid March. Oh, and I need to let you know that our walking is fast, very fast, which I must write about soon, too. Just thought I would let you know of the methods I use to help people relieve pain. After all this is one reason people come to see me professionally. Meridian tapping is a strange one. We focus in on your energy field for this, releasing blockages to pain relief. Its a bit like acupuncture but with acupressure instead. Energy therapy comes in many forms. 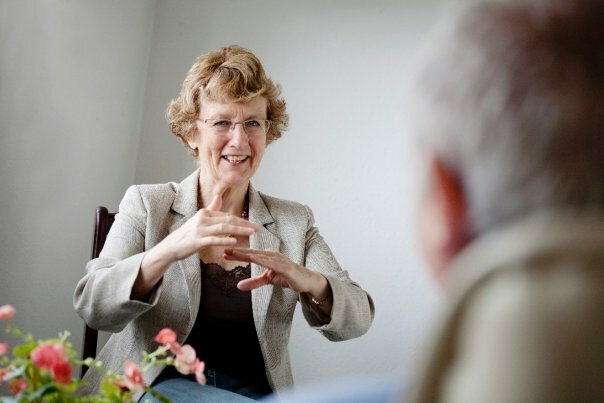 I use combinations of TFT (thought field therapy), EFT(emotional freedom techniques) and PEP(psychoanalytic energy psychotherapy and teach people how to do it themselves, where-ever or when-ever they like. It is quick and can have people reeling with amazement and delight. For instance I have helped clear headaches in 5-8 minutes, hip pain, foot pain, leg pain you name it all reduced in up to half an hour. Back pain, arthritic pain, the pain related to serious illness is helped too. Then you go off and use it yourself to minimise it further. Of course pain is there for a reason to warn you to do something about it. You should see a doctor and physio but this simple technique, taught in an hour long skype session, will help immensely as well. Another useful way of helping relieve your pain is to relax, and what better way than lie back for 20 minutes with my gentle hypnosis for healing audio, ‘Ease, please‘. I have recorded a pile of professional audios, in mp3 and CD format, and this one is really the answer to allowing your body to heal while relaxing and sleeping. Have you been using my free audio downloads? Exercise and snow update. Excuses? Live. Love. Run. It's what I do. and my quest to do more of the former and less of the latter!